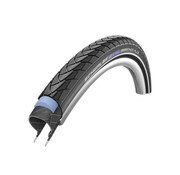 Schwalbe's best selling model. 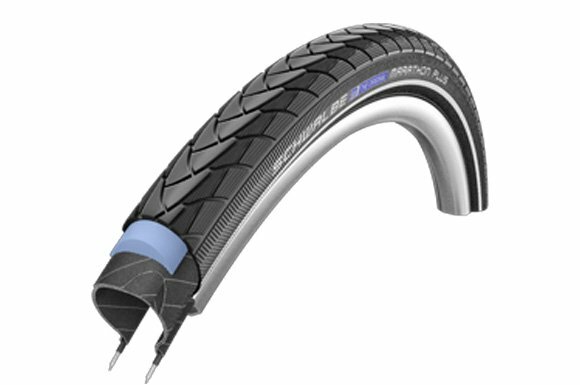 The most puncture resistant pneumatic tire there is. In addition to the superior puncture protection it features many inner values: Rolling resistance. 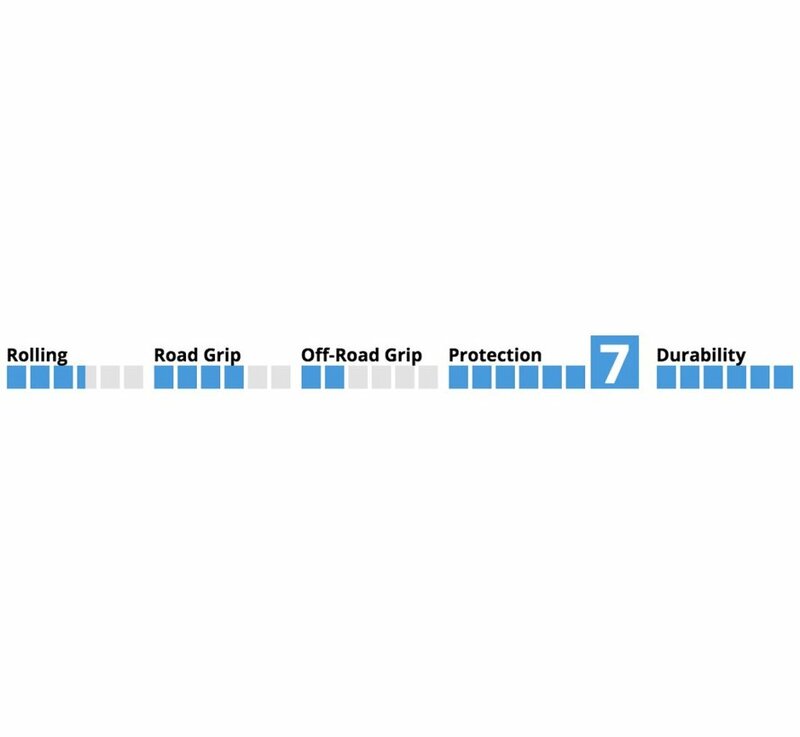 The patented, 5 mm thick SmartGuard layer, when compared to all generic products, has a significant advantage in rolling resistance. Recycling. Also in the SmartGuard, we use a proportion of recycled rubber from old latex products. Anti-Aging side wall. It now lasts much longer before deveolping unsightly cracks when subjected to use with insufficient air pressure. E-Bike Ready. Due to its great properties Marathon Plus is the best choice for E-Bikes (E-25). The main sizes are approved and tested for E-bikes up to 50 km/h.